If you’re after a small but extraordinarily potent vape mod, the GeekVape AEGIS Mini should be high on your list. This thing is brilliant. Like its big brother, the GeekVape AEGIS it is good-looking, super-robust, and it is packed with awesome features. It’s also tiny. And when I say tiny, I really do mean teeny tiny – it’s the smallest vape mod I have ever used. I was a huge fan of the AEGIS, so I was very interested in how the AEGIS Mini would stack up. I just spent over a month using this device. Is it any good? Is it worth your time? If you’ve seen the AEGIS by GeekVape, you’ll know exactly what to expect from the GeekVape AEGIS Mini. The mod feels premium, has a stitched leather vanity section on its side, and like its brethren, it is water, dust, and shock resistant. It’s also A LOT smaller and carries an internal 2200mAh battery. GeekVape has leveraged the exact same build materials this time around as well: Silicon, Alloy and Leather – and the result is an exceptionally premium-looking vape mod. The mod is available in a variety of color options, as you can see in the images later on, and is designed, I think, to be a more portable version of the flagship AEGIS. You have a maximum output of 80W, which is good, as it’ll keep battery life in check, as well as support for TC vaping and a variety of vaping modes. The GeekVape AEGIS Mini importantly also features 2A Fast Charge, a key addition that so many mods of this ilk simply do not include. It’ll charge from dead to full in around 40 minutes. Excellent stuff! It also comes with the awesome Cerberus vape tank as well; this is a mesh coil tank that I have RAVED about in the past. Its inclusion makes the AEGIS Mini all the more appealing. You get great flavor from it. The airflow is superb. And the mesh coils are some of the best in the business. I’m talking a solid couple of weeks from each coil. Epic stuff. Physically, the GeekVape AEGIS Mini is damn-near perfect. If you’re after a small vape mod kit that comes with a great mesh coil tank, I literally cannot think of a better option right now. I’ve been using this mod, on and off, for about a month now. And in that time it has fast become one of my all-time favorite vape mods. Why’s that? Simple: because it works really well and it’s always ready for action. 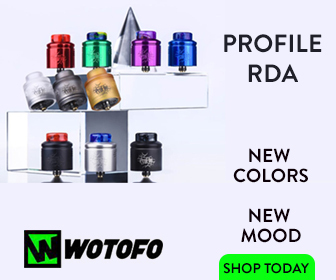 And it’s great for sub ohm vaping or use with single coil RTAs like the Wotofo Serpent ELEVATE RTA. I like to run it in and around 60-70W, depending on what tank I’m using, and at this output, things are very good. You get great flavor and nice vapor production. Whack on an MTL tank like the Kayfun V5 or the GeekVape AMMIT MTL RTA, where you run the tanks in and around 20W, and you’re looking at a couple of days from the mod’s 2200mAh battery. GeekVape’s AS chipset is very good too. It’s accurate, in both TC and power modes, and it hits fast and hard. 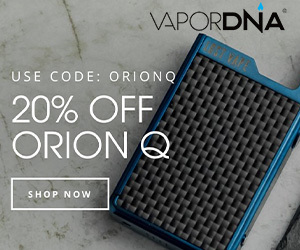 It reminds me a lot of VooPoo’s awesome GENE chip. My favorite thing, however, is how fast this mod charges. Plug it into the mains via microUSB, have a cup of tea and a play on your guitar, and by the time you’re done, it’s fully charged again. ALL vape mods with internal batteries need Fast Charge. I have no idea why this feature isn’t included as standard on all non-18650 mods. It’s just so useful. In the time I’ve had the GeekVape AEGIS Mini it has not missed a beat. It likes running all styles of tank, though I prefer running single coil RTAs and MTL tanks on it. With these tanks, you get WAY more bang for your buck from the battery. Especially if you’re using an MTL tank. Then it just gets epic. The GeekVape AEGIS Mini is accurate, good-looking, reliable, packed with features, and it hits like a freight train. And for a mod that is as small as this one, that is definitely something to get excited about. With a non-removable battery, performance in this context is always going to be a concern. However, with the GeekVape AEGIS Mini it just isn’t – not with Fast Charge. Run the mod below its maximum output, ideally 60-70W, and you’ll get excellent battery performance from it. Whack on a single coil RTA, set it to 45-50W, and it’ll go all day and then some. For two-day battery life, you’ll want to run an MTL tank on it – do this and you’ll get tons of battery life from it. The happy medium for optimal battery life, therefore, resides somewhere in between which is why I’ve mentioned single coil RTAs so much in this review; you can run them nice and low (45-50W). And this, for me, is where you get the most bang for your buck from the GeekVape AEGIS Mini. Still, it is very impressive with the included Cerberus tank too, providing you run it around 60-70W. Brilliant stuff. This is easily my favorite mini vape mod on the market right now. It’s robust, waterproof, and it packs in tons of features. The battery life is great. The design is superb. And the inclusion of Fast Charge ensures you never have to worry about battery life – it’ll charge from 50% to full in around 30 minutes. Bottomline? It’s an easy shoein for our Best Vape Mod Guide – no question about that. For me though, it’s the design and feel of this device that makes it so special. It’s small and portable but it doesn’t feel like there have been any concessions made in the design or specs department. 80W is more than enough power for most tanks, so that’s no bad thing. Chuck in excellent TC vaping and super-powerful, instant firing and you’re in a very good place. There are plenty of “small mods” around right now, but for me, the GeekVape AEGIS Mini is the only one worth looking at. Nothing else comes even remotely close right now. Epic stuff once again, GeekVape!